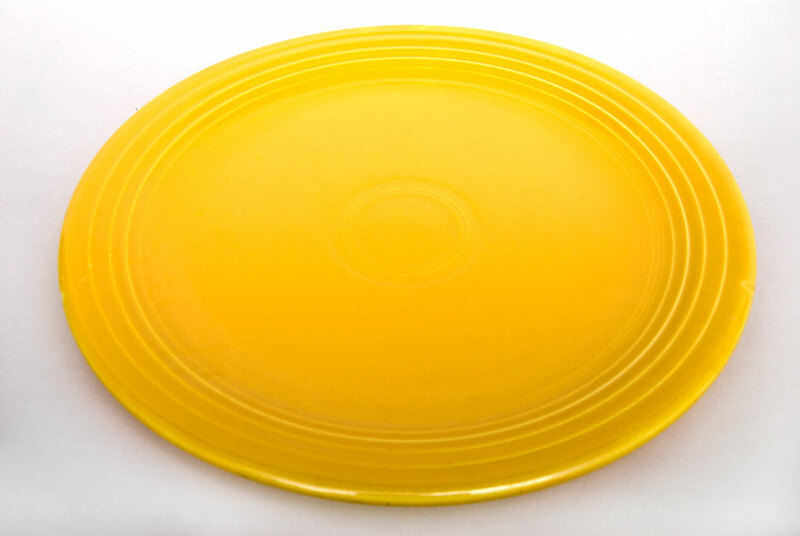 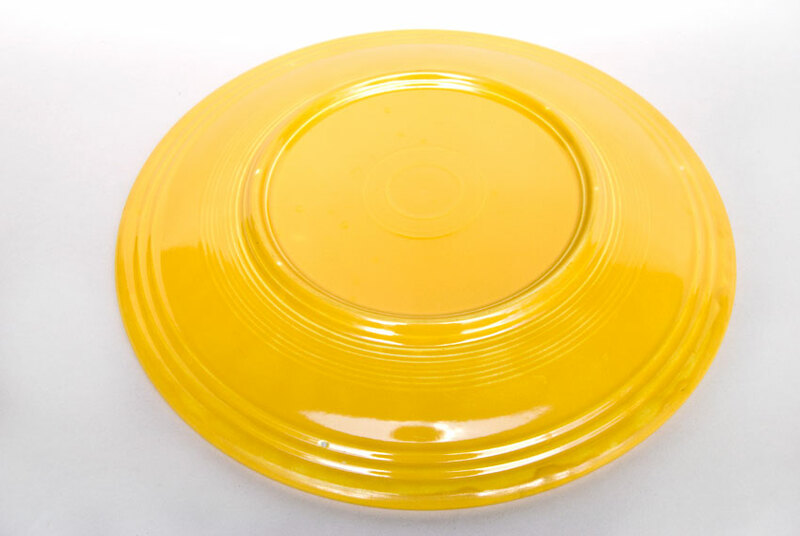 CIrca 1936-1959: The 15" Vintage Fiesta chop plate in the original yellow glaze can light up a room. 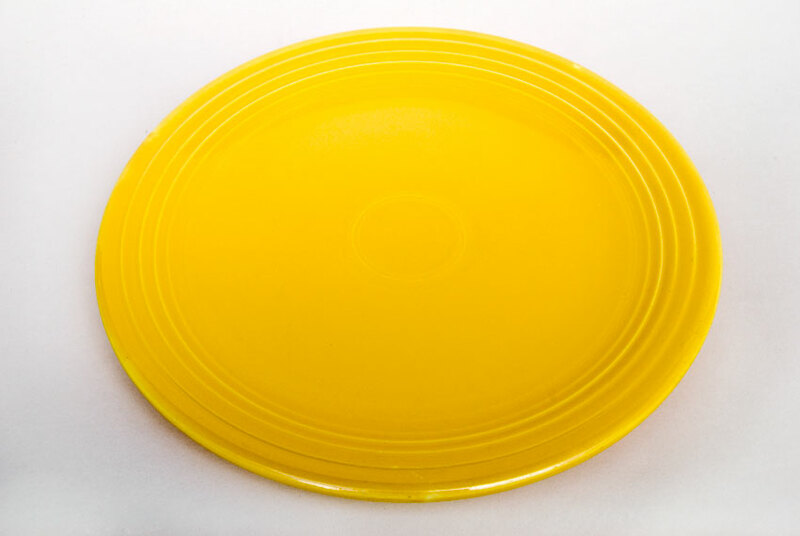 The large expanse of the Vintage Fiesta flatware is the perfect place to showcase your favorite vintage colors. This example is in excellent condition, without damage or use. Measures 14 1/4" w x 1 1/2" h.